Although informatics trainees and practitioners who assume operational computing roles in their organization may have reasonably advanced understanding of theoretical informatics, many are unfamiliar with the practical topics - such as downtime procedures, interface engines, user support, JCAHO compliance, and budgets - which will become the mainstay of their working lives. Practical Guide to Clinical Computing Systems 2nd edition helps prepare these individuals for the electronic age of health care delivery. 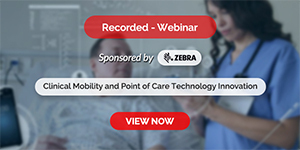 It is also designed for those who migrate into clinical computing operations roles from within their health care organization. A new group of people interested in this book are those preparing for Clinical Informatics board certification in the US. 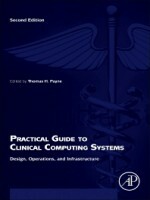 This book focuses on the practical aspects of operating clinical computing systems in medical centers rather than abstruse theory, provides deepened and broadened authorship with a global panel of contributors providing new wisdom and new perspectives - reflecting inclusion of the first edition on the clinical informatics study guide materials and presents a practical treatment of workday but often unfamiliar issues - downtime procedures, interface engines, user support, JCAHO compliance, and budgets.